December 13, 2013 December 13, 2013 EmeraldStudioPhoto2 Comments on What do you Think of this Image? I like the simplistic nature of this image. The soft, subtle form of the horizon, from one cool color to another. What do you think? Perhaps the shadowed trees add a bit of mystique to the image? I didn’t like this image at first, but kept it around anyway, probably listing to my intuition for once. When I was reviewing some old images I came across this one and thought, “maybe I do have something here?” Give me some constructive feedback on what you think about this image! Let me know what you think in the comments below. Or simply “like” this post. 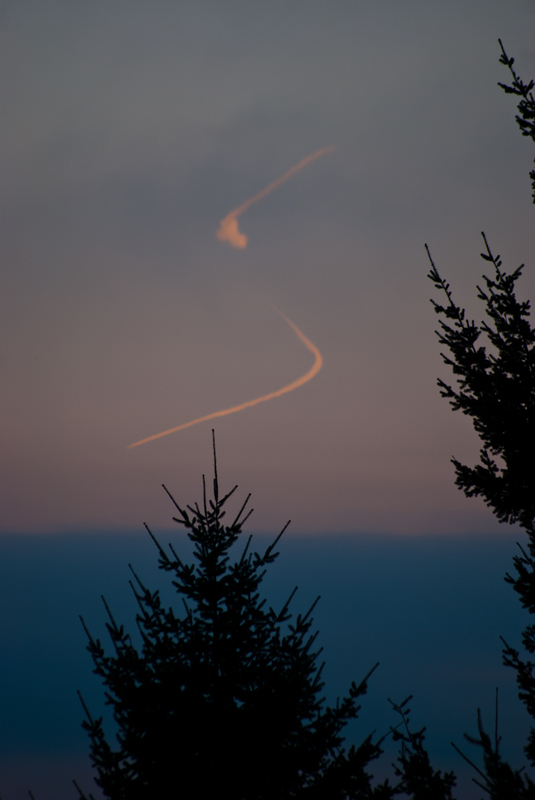 I like the photo for the question and the imagination, it has many possibilities for pondering – the trail looks like an S, why, how, what does it mean etc. I like the contrast between the trees and the sky, in light and color. The only thing is that looking at the picture as a whole, the composition is such that I do not know where to focus my look. Right on Oloriel! Thanks for your feedback! I really appreciate it!